Here at easymove removals Nottingham we understand moving is difficult, but our aim is to take the stress and pain out of moving. With our highly skilled and accomplished team we will assist you every step of the way. We pride ourselves on our service and ability to get the job done professionally and quickly. We will arrive at your home and dissemble all of your furniture and pack all your possessions in a matter of hours. Our house removals Nottingham team will then load them room by room onto our vehicle. All your boxes will be checked and strapped down before they are taken to your new home. Alternatively if you have possessions in your home that you would prefer to pack yourself we will send you out all the necessary equipment such as boxes and tape. It is completely up to you. 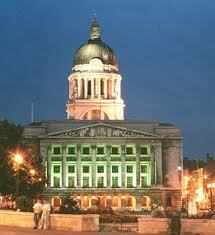 Easymove Nottingham removals company has been operational for just over a decade. Our team of fully trained staff pride themselves on their efficiency and dedication to any job in hand. Our house removals team in Nottingham both office and removal will work closely with you as each move is different because different people have different needs. We are constantly looking for feedback from our customers to improve our service and will offer you a form so you can tell us how you think we have done and what we may be able to improve on. In today’s competitive market we feel that acceptable is no longer acceptable, with this attitude we aim to make your move not only go smoothly but we look to help you enjoy the move as moving is a very emotional time leaving a home that you have plenty of memories in. In the unlikely event any of your possessions are damaged during the move you will be insured up to the amount of £100,000, the insurance provided is included in the price. But we are sure that your removal with us will be hassle free and will be completed in minimal time. We offer two methods of payment. The first option is we send one of our assessors to view you property and give you a fixed price, alternatively we can work on a pay hourly scheme so you only pay for exactly what has been done. The decision is completely up to you. The full House- our Nottingham house removals team will pack your home for you in a matter of hours meaning you won’t have to lift a finger. They will pack your home room by room and loading them on our vehicle(s). This makes it easier when un-loading as everything is going in one room at a time. They will also dismantle all your furniture and will re-assemble them upon arrival at your new property. All your items will be strapped down before the team transport them to your new home. Upon arrival all your items will be taken to relevant rooms and unpacked for you. Fragile packing- all of your items will be given the upmost care and respect however it may be the case that you have possessions that need that extra bit of attention such as glass wear, pictures and other delicates. Our team will have the equipment to deal with every kind of item helping keep your mind at rest. Transportation- All our vehicles are driven by fully and experienced staff. Our removal teams in Nottingham use the most up to date techniques in assuring the safe transportation of your belongings. Unloading- our removal team in the Nottingham area will unload all your belongings into the correct rooms. They will also re-assemble your furniture for you.